Chicken is not my favourite meat. Therefore, I have really high quality standards when a chicken dish is brought before me. Well, in comes the classic cookery book “Sunday Roast – the complete guide to cooking and carving” by Clarissa Dickson Wright and Johnny Scott. Their suggestion for a lemon chicken on page 100 is just a treat. And what do you do with all this? Well, heat the olive oil in a casserole and brown the seasoned chicken. Cook the onion slightly until it is transparent. Then add all the vegetables and the basil for a few minutes. 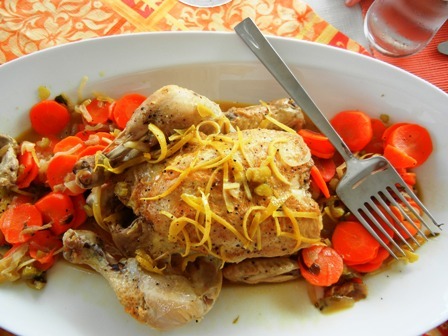 Put the chicken back into the casserole atop the vegetables and pour the juice of the two lemons over the chicken. 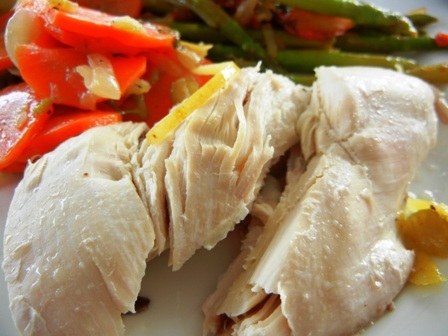 Cut the rind of the lemon in small stripes and sprinkle it over the chicken. Then you add the water and cook for about one hour. And ‘simsalabim’, magic is done: serve. 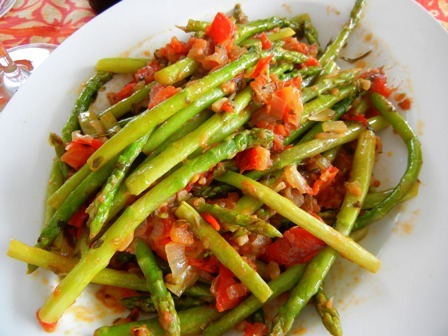 We had some boiled baby potatoes with it and a side dish of fresh asparagus with tomatoes. All in all super delicious. I could not believe it. The meat was not dried out at all, it was moist and very tender. Chicken can be very tasty. It just needs to be prepared the right way. 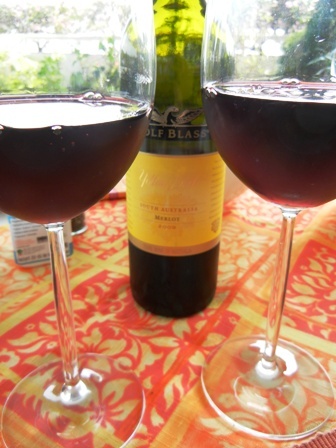 Unfortunately, we did not have a Greek wine (no retsina or a nice red from the Greek islands). 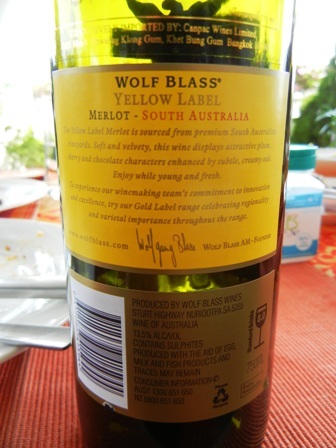 Therefore a bottle of ‘2009 Yellow Label Merlot’ by Wolf Blass, South Australia had to do the trick. This Merlot is an industrial wine, well made, something for every day. I did not have anything else at hand, and did not want to plunder my already diminished treasures. I just love a straight Merlot. 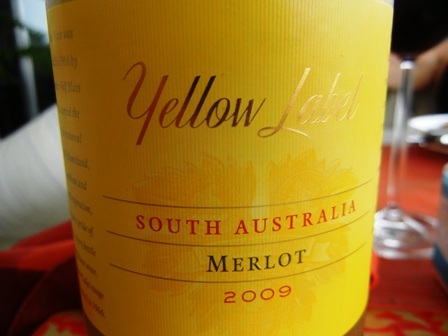 The Yellow Label Merlot is medium bodied with all the characteristics of the grape variety. It matched the chicken very well, because it was not overpowering and not as fruity as for instance our own Merlot is (lots of cherry in the 2004 vintage). PS: I love this old fashioned book by Clarissa Dickson Wright and Johnny Scott. 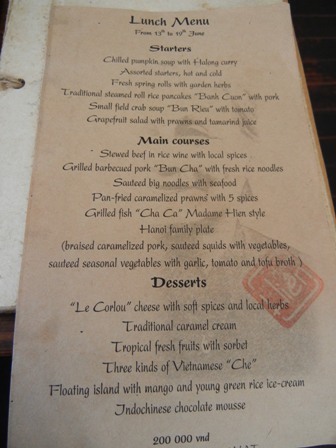 This entry was posted on Monday, April 4th, 2011 at 9:10 pm and is filed under culture, food, food and wine, wine. You can follow any responses to this entry through the RSS 2.0 feed. You can leave a response, or trackback from your own site. it’s a great book. You can read the intro just to see words about preparing food you thought no one uses any more. good stuff.